Ever since I first visited Verdicchio a number of years ago, I have enjoyed the region’s wines. Now when I look for an older white wine on a restaurant wine list I often order Verdicchio because very few people know that it is a white wine that can age and older vintages can often be found at a very good price. 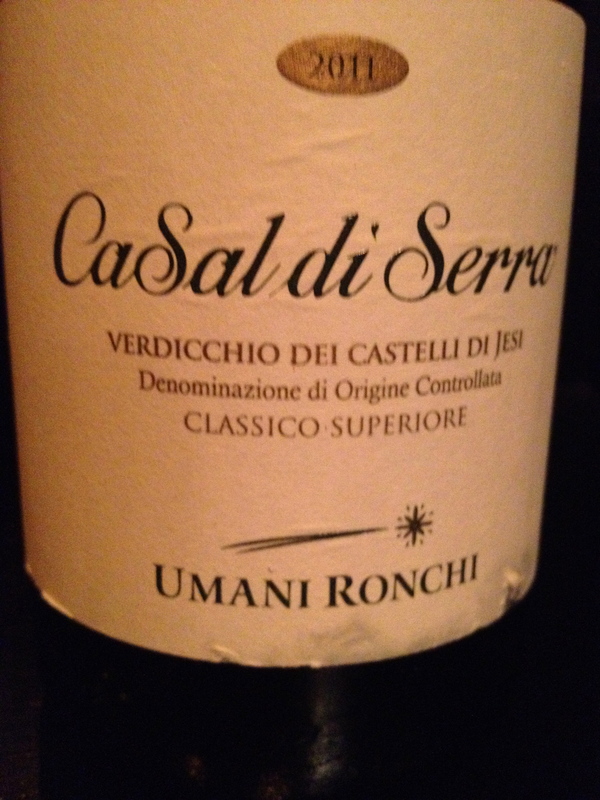 Recently, I was invited to Del Posto in NYC to taste Verdicchio and some other wines from producer Umani Ronchi. The speaker for the event was the very charming and knowledgeable Michele Bernetti. 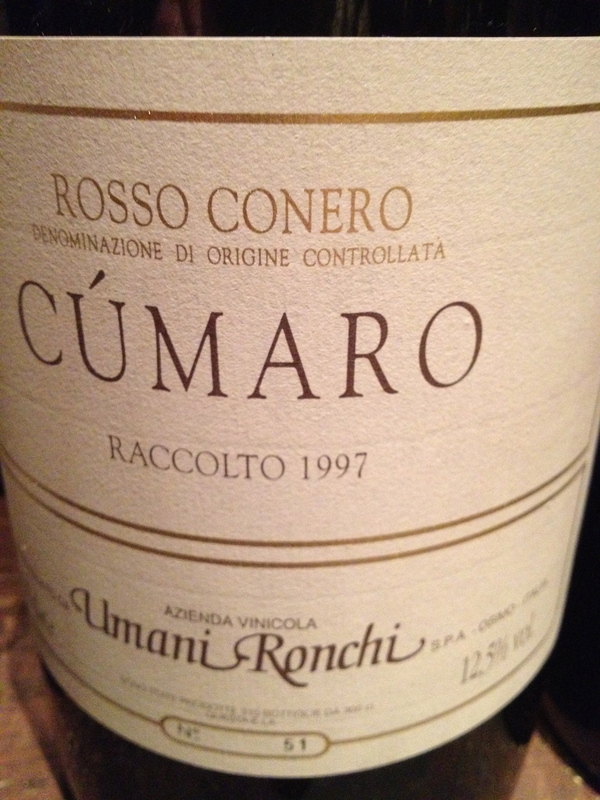 He explained that the company was founded by Gino Umani, who added Ronchi to his name as a favor to a friend in return for vineyards in Cupramontana. 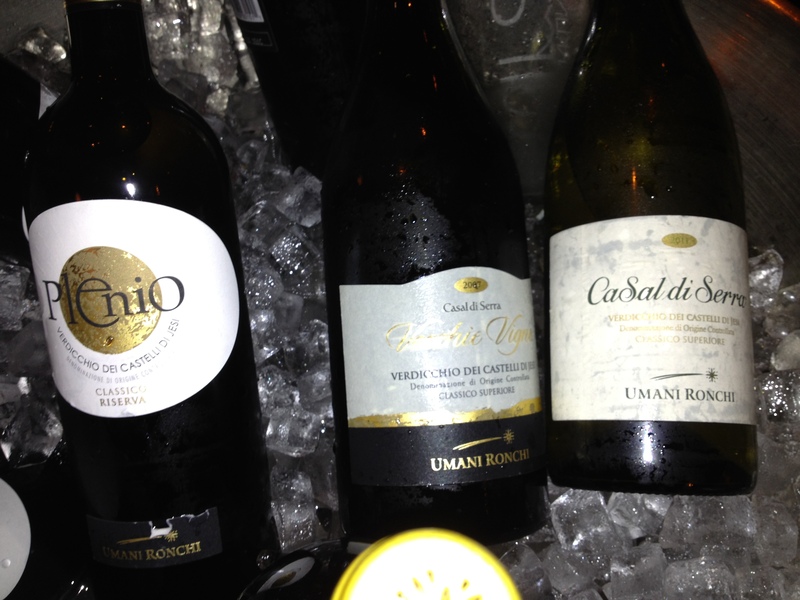 Members of the Bianchi family went into partnership with Umani Ronchi and later became the winery’s sole owners. Massimo Benetti, Dr. Bianchi’s son-in-law took over the management of the company and Michele joined his father. Today he is the CEO. Beppe Caviola is their consulting enologist. Michele said that they have 200 hectare of vines, 110 in the Verdicchio dei Castelli di Jesi Classico zone, 60 in the Rosso Conero production zone, and 30 in Abruzzo. 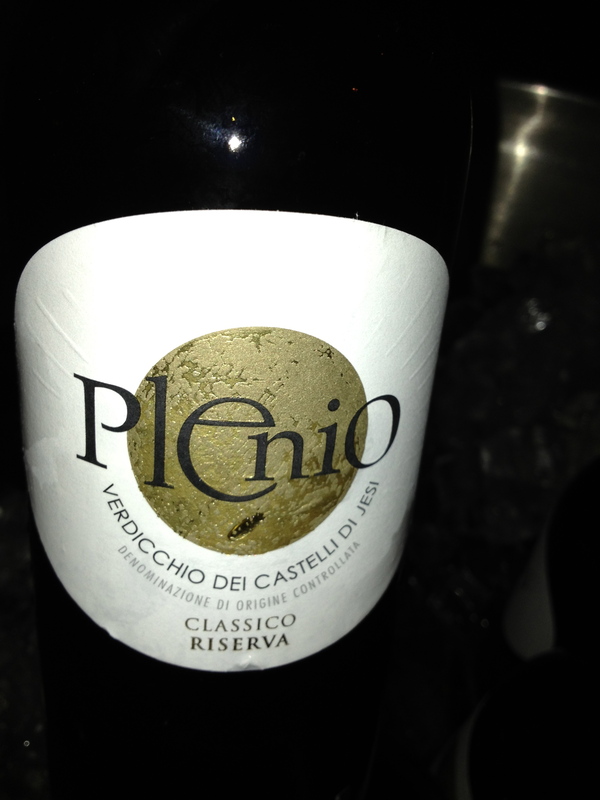 Verdicchio is vinified only in Castlebellino and then bottled, refined and aged in Osimo. 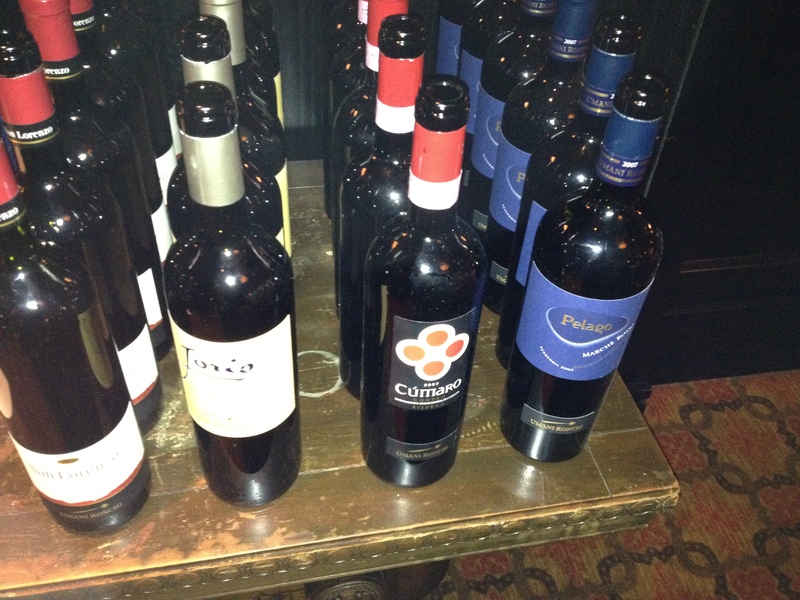 Rosso Conero wines are vinified, bottled, refined and aged in Osimo. Michele said that in the Marche the vines are mostly trained in a Guyot-Double Inverted. In Abruzzo the Tendonne method is used because it protects the grapes from the sun. “Pelago” Marche IGT made from 50% Cabernet Sauvignon, 40% Montepulciano and 10% Merlot. The grapes are hand picked from a small vineyard. Fermentation lasts for 15 days and then the wine is aged in new barriques for 14 months and remains in the bottle for another 12 months before release. Michele said that the name “Pelago” derives from the ancient Italian word for deep blue sea since the vineyards are by the sea. The first vintage was 1994. We tasted the 1995, 1997, 2001 and 2007 which is $65 a bottle. This was a very well made wine of its type but I found it a little too modern for me, especially the 2001 and 2007.